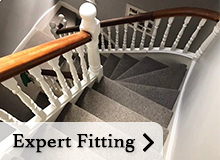 Need somewhere to start when selecting your new Fitted Carpets, Natural Flooring, Wooden Flooring, Laminate Flooring, Engineered Wood Flooring, Vinyl Flooring and Luxury Vinyl Tiles? Why not view our Cameron Lee Carpets Image Gallery it's full of stunning room shots and flooring images the perfect start to a perfectly finished floor, or feel free to call our friendly team of carpet and flooring experts who are dedicated to helping our customers find the perfect flooring solution. Learn more about Cameron lee Carpets Bristol, the first and last name in high quality Carpets Wood Flooring and Floorcoverings serving Bristol, Bath and the surrounding areas since 1966, the ultimate in Quality and Service Cameron Lee Carpets are dedicated to bringing our customers the ultimate in service, product selection and craftsmanship from our time served qualified Carpet Fitting and Floor-laying Teams Click here to find out more about Cameron Lee Carpets of Bristol. Need Help Choosing, Measuring & Planning, Installing, Cleaning & Maintaining, your New Carpets, Natural Flooring, Luxury Vinyl Tiles, Vinyl or Wooden Flooring? 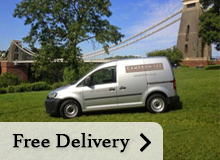 Here at Cameron lee Carpets Bristol we have assembled all of the help you could ever need in one place, we also offer Free Carpet and Flooring Samples, And a Free No Obligation Site Survey with Free Measuring, Estimating & Planning Services. 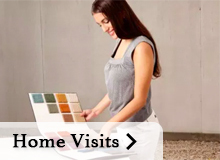 Our Friendly Team of in house flooring experts have in excess of 100 years combined flooring experience. It´s our Cameron Lee Carpets Flooring Blog! Keep up to date with the very latest in Carpet and Flooring news! 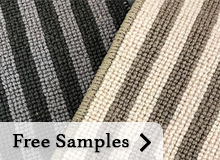 For stunning Carpets, Rugs and Stair Runners, Natural Flooring, Coir, Sisal, Jute, Sea Grass, Solid Wood, Engineered Wood and Laminate Flooring, Carpet Underlays and Accessories. Plus Floor Fashions, Trends, Exciting New Products. If it's Carpets or Flooring & it's new and exciting, we are here to bring you the latest flooring related News Help & Advice.